that this would in fact mean that “cyclists” (the term refers to everybody who may ever ride a bicycle) would actually have to break rules and laws a lot more, and have to endanger other road users far, far more. That’s the actual rule and law breaking: what about the responses of the criminal justice system once the rule and law breaking has been detected, and in particular once collisions have occurred? The first step in looking at any supposed “punishment” for offenders is the response to rule and law breaking by the police before collisions occur. Secondly, the police may investigate after collisions have happened – although there are no legal requirements to report to the police if nobody has been injured. Thirdly, there is a legal requirement for the police to investigate after a Road Traffic Collision (RTC) where somebody has been hurt. Fourthly, an investigation may lead to charges being brought against a driver: these vary in the potential severity of a sentence. Fifthly, a guilty verdict has to be reached if there is to be any sentence. Sixthly, if that guilty verdict is reached, there are different severities of “punishment” that can be given by the (Crown or Magistrate’s) Court. Seventhly, there are ways in which “punishments” may be reduced in their severity. Finally, even the less severe “punishments” may be removed. 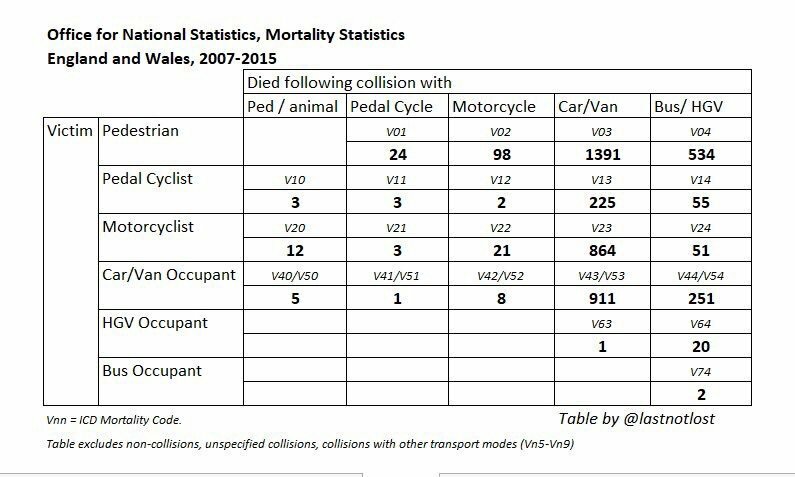 Let’s proceed through the seven steps, bearing in mind what parity with the relatively rare cases where cyclists are responsible for hurting (and even more rarely for killing) other road users would actually mean. which complained about the “relatively minor offences such as speeding and red light offending…”(my emphasis). In fact, the number of speed camera based fines for speeding was about 1 million. As illustrated in the previous post on this subject, the proportion of drivers who regularly break the laws on speed mean that several million (the precise amount depends on what kind of vehicle driver, which speed limits etc.) drivers are regularly breaking the law in this area. In other words, this report might note that the chances of being caught for speeding are actually very low – probably about one in 15 regular speeders may get a fine in a year. Instead, its spokesman, Steve Gooding (formerly a senior official in the government’s Department for Transport) stated: . “If thousands of drivers a day are getting tickets this is a clear indication of a system that is failing.” The answer might be – for an organisation concerned with responsible driving – that there should be more enforcement, with the realistic chance of being caught with a deterrent penalty likely to stop the offence in the first place. For example, in November we were told that half of all speed cameras in the UK are switched off . Instead, it appears to take the opposite view. This approach is further illustrated by a look at the research interests of the report’s author : “…a special focus on crimes of the law abiding …In particular I am interested in how ostensibly law abiding citizens react to being labelled a problem by the justice system..” (my emphasis). The oxymoron is of central importance to this matter: for the author of a report by a well-funded organisation with charitable status which “…advocates policy in the interest of the responsible motorist”, the people committing crimes when driving are still “law abiding”. We come back to this issue at the end of this post. Plainly the fact that much – but not all – of the driving public doesn’t consider driver crime to be “real crime” is important. Although one might expect a charity claiming to speak for “the responsible motorist” to more apparently and vigorously oppose such an attitude. last year, only 15% will be caught. The vast majority of collisions do not involve injury, so there is no duty to report to the police, although the police can investigate what has happened. After all, despite the reporting of incidents in the media as if no driver was involved (“A car turned over/hit a house” etc.) in almost all cases somebody will have done something they should not have. I have discussed before at length how something as visibly law breaking as driving into a shop can be described by a police officer as “not thought to be suspicious”. a professional minibus driver who falls asleep and crashes into a car does get arrested and is “punished” by being given a Graduated Fixed Penalty Notice (a fine) although there is no indication if this has warranted the 3 penalty points that might be given under Section 3 of the Road Traffic Act 1988. 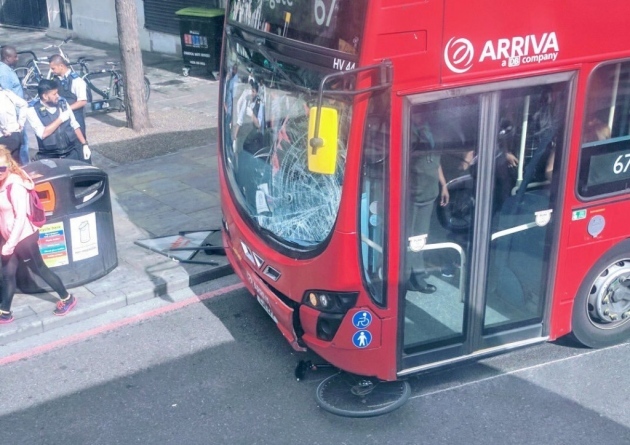 This incident, (the first one in the story here ) where a cyclist was hit by a bus in Hackney where the driver was clearly in the wrong – overtaking on wrong side of the road straight into cyclist. There was no arrest at the time in July, nor mention of it in TfL’s Q3 Bus Safety Data for 2017. In the case of third party reporting, even where there is additional violence as in this case in Essex which attracted a lot of attention recently, there may be no charges. 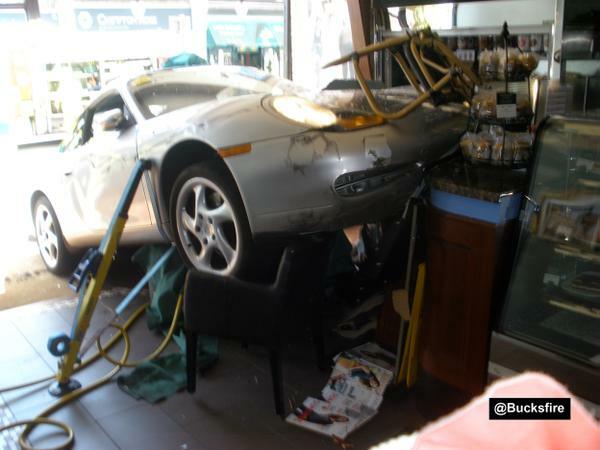 Of course, it must be remembered that making an arrest immediately is not necessarily the best cause of action for the police – although in this recent case of a car driven into a restaurant with two pedestrians injured it is difficult to see why an arrest was not made. In this case a lorry driver blind in one eye, and going blind in the other, has seven seconds to see a couple crossing the road despite exceeding the speed limit by 7 mph, drives into them and kills them. As the judge said “you were not paying proper attention and you should have been”. 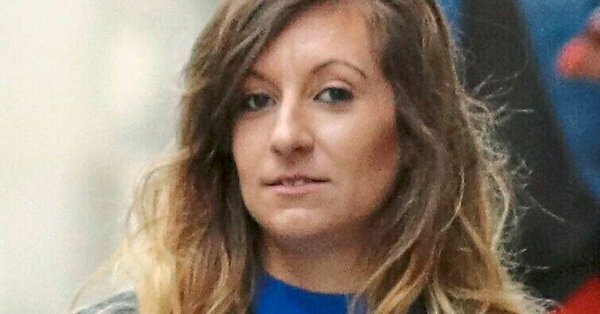 However, the jury acquits him of causing death by dangerous driving, and he is sentenced for the lesser offence of causing death by careless driving. In this case the Crown Prosecution Service believed that because the driver drove across a junction, where he collided with a cyclist and killed him, without reducing his speed despite seeing numerous ‘Give Way’ signs along the road, his driving was dangerous. (The driver initially told police he had slowed down from 25 mph to 15 mph. However, as a driver who had passed his test 3 months previously he had a speed monitoring device on board which recorded his speed as 37 mph). The jury did not agree and he was convicted of the lesser offence of causing death through careless driving. In this case the van driver caused permanent life changing injuries after driving through a red light – don’t forget the Daily Mail calling this a “relatively minor offence”, and was also convicted of the lesser offence of causing death through careless driving. The unwillingness of a jury to convict drivers is a central feature of lenience towards bad driving. In this case even something as apparently wrong as driving into a pedestrian on a pedestrian crossing gets a Not Guilty verdict. She told police she had “no idea” how the incident happened. For this reason some campaigners will often argue for driving offences to be specified as being “Careless” (or “Causing Death through Careless”) Driving” so that they can be tried by a Magistrate who – again, hopefully – may be less prejudiced than a jury composed of people sympathetic to bad driving. In 4 we show how a Guilty verdict often only results under the less serious of the two main categories of offence (“Careless” and “Dangerous”). Let’s see what kind of “punishment” may result. One being a hit and run ; One with the driver taking his eyes off the road to adjust his car radio : a driver who “didn’t see” a cyclist despite his light being visible 200 metres away ; one just “careless” or seriously injuring them. I want to give a special mention to elderly drivers given suspended sentences after killing people. I have posted on how the “road safety” industry, or at least this part of it , seems to have taken a soft view on this issue. Here we have cases of people who are obviously unable to drive properly and who therefore should not have driving licences. When they get suspended sentences after killing people, one does wonder if this is not a particularly gruesome example of the social tolerance of bad driving. After all, if they should not have been driving in the first place, what is the point of saying they have been “punished” when all that happens is a loss of licence? Three cases are here, here and here. My view is that the principal response by the courts to driving which endangers others should not be prison: this should be reserved for the most serious cases only. A deterrent (providing it is not for people who are incapable of driving properly, as in the cases of the elderly killer drivers mentioned above) can exist with the loss of licence. Let’s have a quick look at what happens with the use of endorsing licences. Here is a case of a driver with a bald tyre failing to stop after knocking down and killing somebody: there are 10 points given so she can carry on driving. In this case a driver using her telephone (it was on loud speaker, and as she was not actually holding it that is not considered so serious) gets 5 penalty points and a £90 fine after hitting and killing a child crossing the road. Statistics published this year showed that 10,000 drivers are still on the road with 12 or more points on their licences, due to a loophole in the law. Magistrates are allowed to be lenient with motorists if a driving ban would cause them to lose a job. That means just one third of the 64,409 drivers banned at court were banned for other offences. There are approximately 45 million driving licence holders with about 37 million registered vehicles in use. Being conservative and allowing for the licence holders who don’t drive frequently, we can use a number of about 38 million drivers. In 2016 that means 0.17% of regular drivers were banned, and about 0.06% of regular drivers banned for offences other than those involving drink or drugs. If almost all drivers behaved impeccably, that would be fine. But as the post shows, rule and law breaking which endangers others is commonplace. But it gets worse. Banned drivers have the right, after two thirds of a ban is served, to plead “undue hardship” because of the loss of licence. This is illustrated neatly by the case of the Alan Duffuss, who has been convicted of bad driving in three separate incidents where people have been killed. In 1980, he lost control of his Jaguar XJS at an estimated speed of 100 mph, with the car flying 70 feet and his passenger dying after it hit a wall. In 1983, less than three months after he got his licence back, while on a powerful 863cc motorbike he ploughed into the back of a car, killing one of the passengers. Duffus was driving a powerful BMW Z4 in January 2008 when he encountered Grant Whyte, 22, who was in a modified Vauxhall Corsa. Witnesses told how the two cars sped along the road bumper to bumper, with Whyte just behind Duffus. It was alleged that they raced each other for three miles, tailgating one another and swerving repeatedly on to the wrong side of the road, after which Whyte swerved off the road and hit and killed a pedestrian walking home from work. Duffus and Whyte were charged with causing death by dangerous driving, but Duffus denied racing or having anything to do with the fatal collision. The jury cleared him of racing and of blame for the death, and he got a 10-year ban for dangerous driving. The reason for mentioning this individual is that in 2017 he successfully applied for the last three years of the latest ban to be removed on the grounds of “undue hardship”, namely that inconvenience had been caused to his family by the ban (he had to be driven to work by his wife). I haven’t, to be fair covered the fact that in many of the above cases the court has ordered community service to be undertaken, or given fines. There are other possible responses as well: in the case of the driving captured in the video here an afternoon of driver awareness was specified as appropriate. There are, of course, some cases where offenders get sent to prison (although not necessarily with long term driving bans), normally for the more serious offences and where the consequences have been severe. My suggestion is that these act as lightning conductors diverting attention from the majority of types of rule and law breaking behaviour which endanger others. Indeed the focus on driving impaired by alcohol or drugs can be seen as implying that driving unimpaired is essentially benign. Given the lenience I have described, matters such as having a journey curtailed or being required to attend a court may themselves count as a form of “punishment”. Indeed, unlike other law breaking resulting in the death and/or injury of others, a key element of what constitutes punishment is the actual or alleged suffering of the offender. This is a persistent theme apparent from the proceedings of court cases, particularly where someone has died. The point of this post is to show that driver rule and law breaking is not only commonplace, but unlikely to result in any kind of real punishment, except when the worst types of bad driving result in serious injury or death – and it is quite usual for it not to happen even then. As explained previously (at some length), the purpose of describing this state of affairs is not to excuse the relatively lower level of danger that an errant bicyclist or pedestrian poses compared to that of an errant motorised road user. Or indeed even the far, far lower danger that errant cyclists or pedestrians pose to others compared to errant drivers. It is simply to show the scale of road danger and where it comes from – and that this society treats it with impunity. This happens to such an extent that the author of the RAC Foundation report described above appears to imply that law breaking by motorists is not actual or real law breaking. It means that discussion of cyclist rule and law breaking, as a key topic for the forthcoming Cycle Safety Review, cannot occur in a meaningful way unless the massively greater problem of motor danger is put on the agenda alongside it in an equitable way. Various kinds of engineering and other measures should be used to reduce danger on the road. But we won’t even be able to set the agenda for this unless we understand what the problem is. A century of the activities of the “road safety” industry and the massive power of the mainstream driver and motor industry lobby has left us with normalised rule and law breaking – but not all drivers are necessarily content with this state of affairs. We need to take this opportunity to express what a civilised approach to road danger would actually look like. A good article, wearingly familiar. I’m not sure what the answer is. 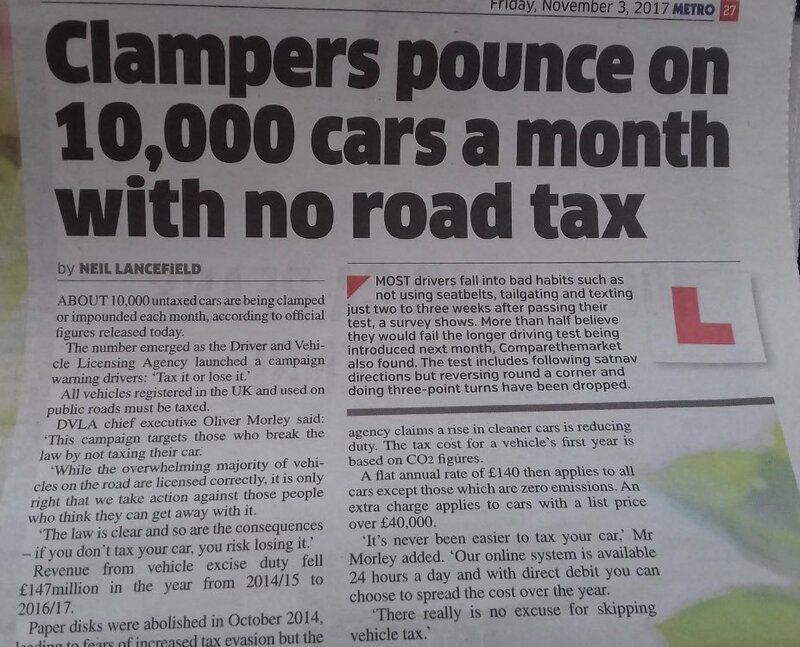 I don’t have much faith in the attitudes of the police and courts changing, so my preferred approach is to repeatedly set out the costs that motorists unthinkingly inflict on society, and ask whether it’s fair that they should be met by other people. And secondly, to call for infrastructure that allows for all road users to use it safely, and not just class of one road user, the motorist. Yet little outcry accompanied either incident and as far as I know, no arrests relating to either incident have been made. Do pedestrians think that the moment they step outside their houses they are fair game for any careless motorist? most pedestrians, indeed most adults, drive cars so its not suprising they feel little antithapy towards cars, even though they are quite horendously dangerous to them statistically, both while in driving and pedestrian mode. on the other hand, most pedestrians dont cycle, so feel free to be hostile to this ‘pointless and alien’ danger and anoyance. the belching and disgusting smelling cancerous pollution also strangly not enimating from cyclists also seems to be studiously overlooked by nearly everyone. of course, safety is a moot point. all motorized transport has to be banned due to there being no carbon budget, 3 degrees warming being ‘in the can’ if lag, feedbacks and dimming are factored in, which the business as usual friendly, tool of the planet eating industrial megacancer IPCC doesnt factor in. Actually we are finding that at least some police services are taking on a Road Danger (or Road Harm) Reduction approach. A lot do want to police errant driver behaviour. In fact this will be facilitated by the 3rd party reporting which is coming on stream. A chink of light! Sentencing is another issue. The All Party Parliamentary Cycling Group has made some sensible recommendations. No doubt others will be made by Cycling UK and others as the Cycle Safety Review comes up. Actually the Tulse Hill case go a lot of coverage – but maybe only because it was particularly bad. You’re right that the Tulse Hill did get a lot of coverage, for the type of accident that it was, i.e. a pedestrian being hit and killed by motorists. But I think there has been little outcry, except perhaps in the Evening Standard, but that is a London newspaper that takes a keen interest in London transport issues, particularly it has to be said, in the safety of cyclists and pedestrians in London. And the fact that I was able to raise the Tulse Hill incident in the first place was indeed because it had been reported in the national press. Many such accidents where a cyclist or pedestrian is killed by a motorist only prompt a short article in local media, as you’ve made clear before. I will read the sentencing recommendations of the All Party Parliamentary Cycling Group with interest. It shocks me how many motorists who kill pedestrians and cyclists are simply allowed to walk free from court despite being convicted because the judge deems that the offender has ‘suffered enough’. I appreciate that prison time is not always the best sentence for a whole number of reasons, but why isn’t community service used more I wonder? The offender is still being deprived of much of their liberty, but it is being used for the good of the community rather than frittered away at taxpayer expense. This is separate to the ridiculous ways in which motorists who kill others are allowed to keep their licences for ‘hardship’ reasons, which absolutely must stop. In what other cases are individuals or companies who have been convicted of causing death in some way, allowed to continue doing the activity that led to the death in the first place?! The whole point of the legal system is to stop behaviour that threatens others. Halfway through you use the words ”…. unwillingness of a jury to acquit…”. I think you mean convict, not acquit. It’s a good analysis which makes for difficult reading. Thanks Alan – glad you noticed! Now changed to “convict”.